Thanks to generous year-end contributions from our members, the Friends have been able to contract with T&T Tree Service for the removal of some of the most problematic trees along the Canal. The dangerous black locust arch in Lower Makefield will be coming down. Ever since Hurricane Sandy, trees have been falling at much too rapid a rate. The Park staff has admirably persevered, but the removal of some of the trees requires special handling and equipment because of their sizes and locations. T&T Tree Service will have use lift trucks to access out- of-the-way limbs and wield chainsaws while floating in kayaks. 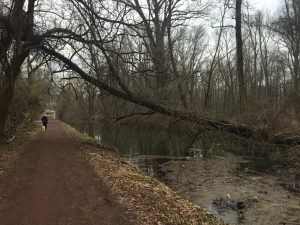 A mulberry tree leaning “drastically” over the Canal in New Hope will be removed. A big box elder will be extracted from the water in Morrisville, and a large black locust teetering over the towpath in Lower Makefield will no longer be a threat. Also, T&T will be cutting down a swath of Ailanthus Altissima (Tree of Heaven) that is growing on a 400-foot section of canal bank in New Hope, and then they will treat the stumps with herbicide so that there is no regrowth. 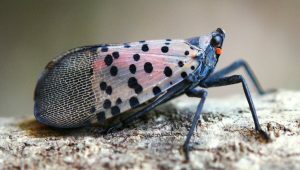 Tree of Heaven is the favorite food of the destructive Spotted Lanternfly, which invaded our area last year. T&T hopes to begin work soon before the ground softens (although the guys in the kayaks are probably wishing for warmer weather.) If all goes well with this project, the Friends may contract for the removal of several leaning trees near Groundhog Lock in Raubsville. 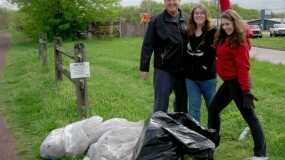 The Friends are pleased to be of help with the Canal’s tree plague. And we thank everyone who clears manageable branches off the towpath to make way for visitors. When it comes to canal problems, many seem like déjà vu. 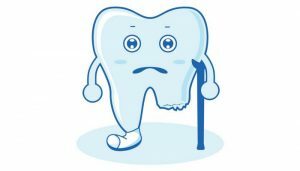 We all know about sinkholes, collapses, overflows…, but now there’s a brand new issue – broken teeth. The feeder gate at Easton, which allows Lehigh River water to flow into the Delaware Canal, has several broken gear teeth. The lack of teeth makes it difficult to open and close the gate, therefore, the Park staff has been maintaining the gate at a half-open level resulting in a typical “winter maintenance level”. The gear component needs to be removed and taken to a machine shop for tooth repair. To remove the component, the feeder gate must be fully opened, something that the Park staff does not want to do while there is still the threat of a winter solid freeze. (If the Canal freezes over with a full head of water in it, there is the very real possibility that the waste gates would freeze shut and heavy rain or snow would cause the Canal to overtop its banks.) As soon as the threat of frozen waste gates disappears, the gear component will be removed, sent to the repair shop, and, we hope, back in time to allow a full Canal in the spring. In other news, heavy rain displaced the bypass channel liner at the Tinicum Aqueduct. To stop the liner from being undermined by overflowing water, the Park staff is currently diverting water out of the Canal at the waste gate by the Golden Pheasant Inn, just north of the aqueduct. The liner needs to be pulled back into place, but due to its fragility in freezing weather, the pulling needs to wait for warmer temperatures to arrive. The Fry’s Run Aqueduct replacement project in Williams Township and the Tinicum Aqueduct repair project are still on track to be put out to bid this spring. The bidding and acceptance process generally takes approximately 90 days with commencement of the work beginning shortly thereafter. This winter’s cold, rain, high winds, and flu have put a damper on progress along the Canal, but we’ll get beyond it. George Calaba has been appointed as the new Park Operations Manager for Delaware Canal State Park Complex, which includes Ralph Stover State Park and associated resources such as the Nockamixon Cliffs and the Delaware River Island Natural Areas. His name and face are familiar because he served as Assistant Park Manager at Delaware Canal under Rick Dalton and, up until March 1, was the Manager at Washington Crossing Historic Park. George is a veteran of the US Navy and graduate of the University of Pittsburgh with a degree in Geography. Following a brief stint as a counselor for at-risk youth, he attended the Indiana University of Pennsylvania and earned a Master of Science degree in Geography and Regional Planning. Since joining the PA Department of Conservation and Natural Resources in 2000, he has gained invaluable knowledge and skill while working as a manager at seven state parks. For more than 20 years, the Friends have had the great pleasure of taking part in two local festivals. Each January, we partner with the Delaware and Raritan Canal Watch to host a Two Canal, One River walking tour during the Lambertville-New Hope Winter Festival. This year, through the wonders of Facebook sharing, 300 people arrived ready to explore. 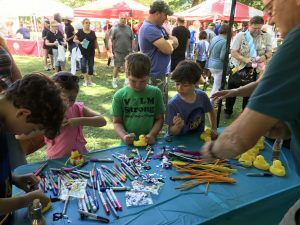 Kids decorate Canal Ducks at the Tinicum Arts Festival. In July, the Friends are invited to set up a booth at the Tinicum Arts Festival where we share information about the Canal and sell some t-shirts and hats, too. 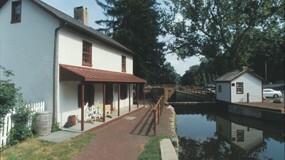 Over the years, we’ve introduced thousands of people to the Delaware Canal. Both festivals are excellent friend-making opportunities – a definite win. Each year, after the festivals are over, we are privileged to receive generous contributions from the organizers – Twin Rivertown Projects, Inc. and the Tinicum Civic Association. With the objective of improving the community, the organizing groups share their event proceeds with non-profits working in their communities – a second win. The Friends have benefited from our festival participation in so many ways. We’re very thankful and want to continue to be part of the fun for many years to come. 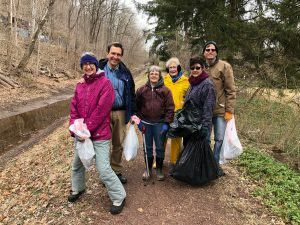 The efforts of our dedicated Canal Tenders, who take care of their sections of the waterway and towpath throughout the year, are clearly evident – trash collected, branches and debris cleared, and problems reported promptly to the State Park staff. We are so grateful for their diligence and hard work. At the beginning of each year, we check in with all the Tenders. This year, four have decided to “retire.” We heartily thank David and Vicky Child, who tended between the Rabbit Run and Phillips’ Mill Bridges in New Hope; Jose Acevado, whose section was from Beaver Street to the Lagoon in Bristol Borough; and Harry Dozer, who helped care for the section of Canal from Bridge 2 to Bridge 3 in Smithtown, for their years of service. Much of the Canal has been adopted by Tenders, but there are still some “orphan” stretches. Please consider volunteering to close these last gaps. Individuals, couples, and groups are very welcome. These sections can be divided into smaller stretches. To learn more about what’s involved in being a Canal Tender, visit fodc.org and click on Help. If you would like to volunteer, please contact us at 215-862-2021 or friends@fodc.org. The list of this year’s work areas follows. The names of the Clean-Up Day Coordinators or Canal Tenders are included for each area. Help is especially needed in areas highlighted in red. Please contact your local coordinator to volunteer. Lynn Vogel and Josh Gradwohl, Canal Tenders – 215-595-6114 lvogel419@comcast.net A volunteer with a boat / kayak would be welcome. 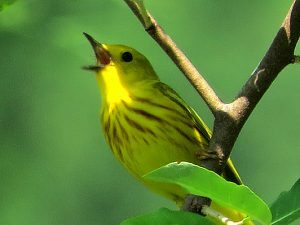 As the warblers return to the Canal in May, you will be receiving your Friends of the Delaware Canal membership renewal request for the year 2019. Please support all that we do to improve the Canal in our ongoing quest to make it a better and more beautiful place for people (and Yellow Warblers) to return. We welcome checks because we save on credit card fees, but also are happy to have you renew online. Just click Join on the main menu and navigate to the Renew Your Membership page. We are hoping against hope that when spring arrives, the weather will get less quirky, but it doesn’t, here’s what to do. If you are in doubt about whether or not a Friends’ event will be held, please check the list of Coming Events on the homepage of fodc.org. A Go/No Go message will be posted at least 4 hours prior to the starting time.